Children, by their very nature, are curious and inquisitive beings. They want to know about the world around them, they want to explore, they want to learn. What is this? How does that work? What does that mean? They are asking questions all the time, trying to expand their knowledge. That curiosity is especially evident around animals. Children want to touch animals, they want to handle them and play with them. This, clearly, is an area where education is essential. Here at the Winnipeg Humane Society, we are always trying to educate people about animals. With our education department, we have developed a special program educating children about dogs. Dogs are as curious as children, always exploring, sniffing and trying to discover new & exciting things. However, we need our children to be aware of what it is that dogs are saying to us. Dogs have no words, they can’t politely ask us to give them some space, so reading their body language is hugely important. There are too many ‘cute’ videos online of children hugging dogs, playing with dogs whilst their families laugh along. However, to the trained eye, that dog is not having a good time, it is desperately showing the humans that it is uncomfortable, scared and wanting to get out of the situation. Reading all these signs is vital in the prevention of bites and the well-being of both the animal and the child. Through our school presentations, we discuss dog body language. We help children to understand that, just like us, dogs have individual personalities. Some are shy, some like their space, others are friendly or excitable. By understanding their signals, we can ensure safe and enjoyable interactions for all parties. We take our behaviour assessed ambassador dogs into classrooms to help demonstrate and ensure positive experiences for all students. I believe that this is a hugely important topic to discuss with children and to help them understand that dogs are complex and unique. We need to treat them respectfully and understand what they tell us. 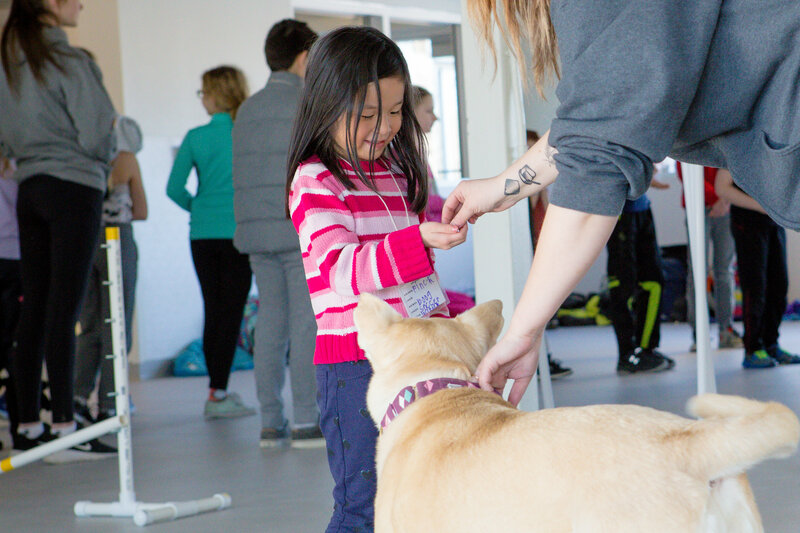 If you are interested in having the Humane Society come to your classroom or community group to discuss dog safety then email us at education@winnipeghumanesociety.ca or call us at 204-982-2046 for more information.